The weather outside is getting cool and probably you need an elegant and warm winter coat. Here you can read a good article about choosing the right plus size winter coat, how to stay within the budget, and of course which coat styles and cuts are most flattering for full figure. 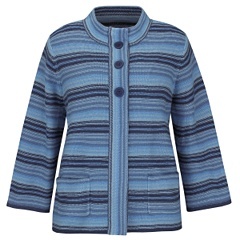 And here is my choice for plus size winter coat. The coat is not made from wool blend, because it is Persian Sueded Coat and features shawl collar, fake Persian fur trim, fake suede bodice, and loop button closure. The shell is made polyester with lining: Polyester. Sizes from 14, 16, 18, 20, 22, 24, 26 28. This wool blend herringbone coat with a touch of piping adds charm to any fall outfit. Button front. Back self belt. Front hand pockets. Piped trim. Lined.